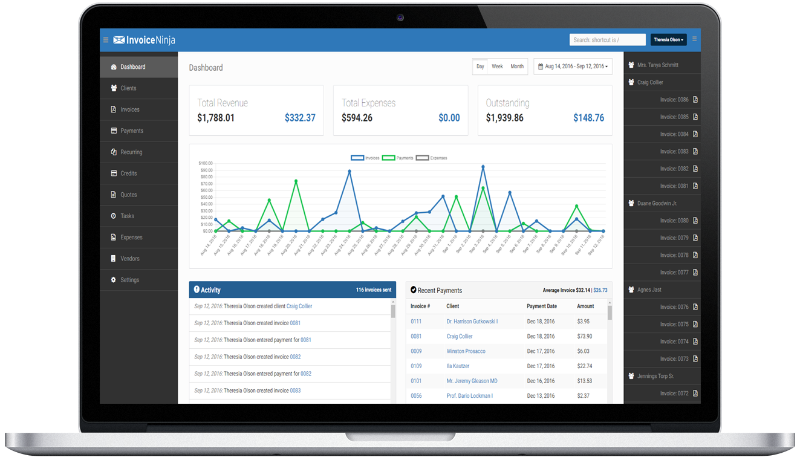 InvoiceNinja is an open source platform for invoice, billing, and payment management, designed and developed to streamline and simplify the way small-to-medium-sized businesses manage their invoices, billing and payment. It integrates with more than 50 popular payment gateways and channels, including PayPal, Stripe, Braintree, WePay, WorldPay and 2Checkout. These integrations make it easy for clients to settle their obligations through channels they prefer, ensuring users get paid the quickest way possible. InvoiceNinja is web based, available for SelfHost, Android phone and tablet, iPhone and Coudron. Learn more and download InvoiceNinja here!